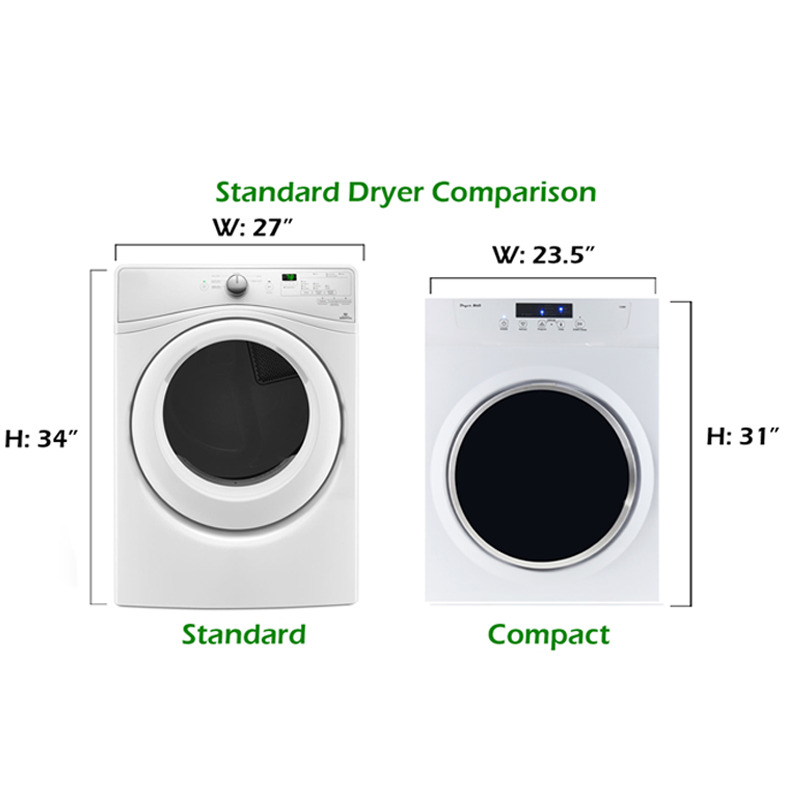 At just 32.3 x 23.6 x 22.3 inches (HxWxD), with a 3.5 cubic foot capacity, the Compact Standard Dryer 870-220V will upend everything you thought you knew about size and power. 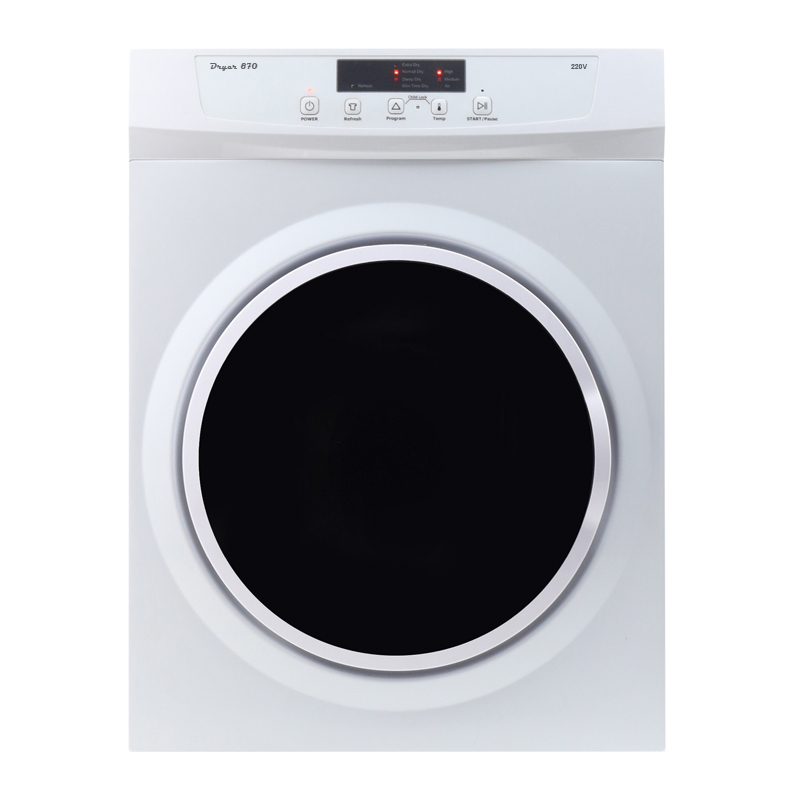 The dryer boast 220V of drying power to ensure your clothes dry faster, every time. 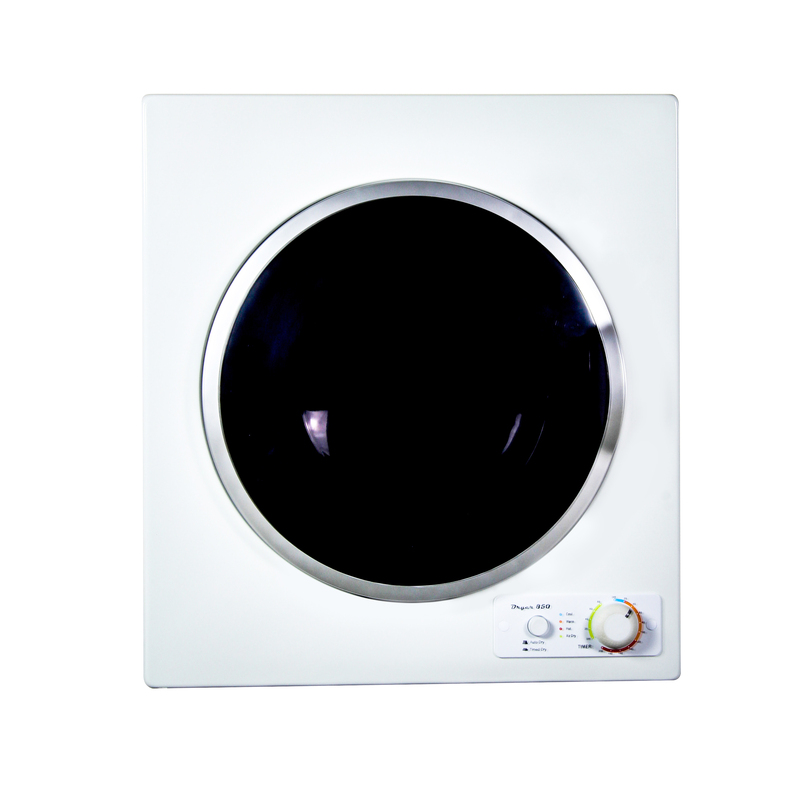 Its 3 programmable auto and timed drying levels will protect all your clothes, no matter the material. To make drying even easier, we’ve included advanced options that pause your drying on command, refresh, avoid wrinkles, and ensure the machine stays locked when not in use. The ED 870-220V comes with both 4-pin and 3-pin electrical plugs, and is available in white with a sleek silver trim.